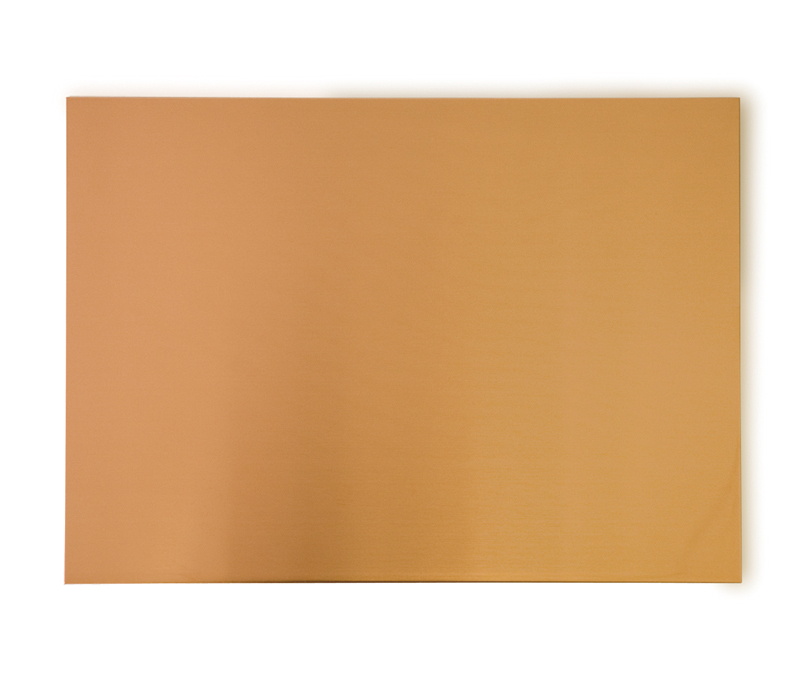 Copper plate is a plate of copper pressed out for use in copperplate (intaglio) printing. In days gone by, iron plate was used for intaglio printing but copper came to be used from around the late 1400’s when artists such as Dürer were actively producing work. Nowadays, zinc sheets are also used on rare occasions but copper plate, which produces sharp lines, is more widely used. 0.8mm is a good thickness to use both technically and economically. 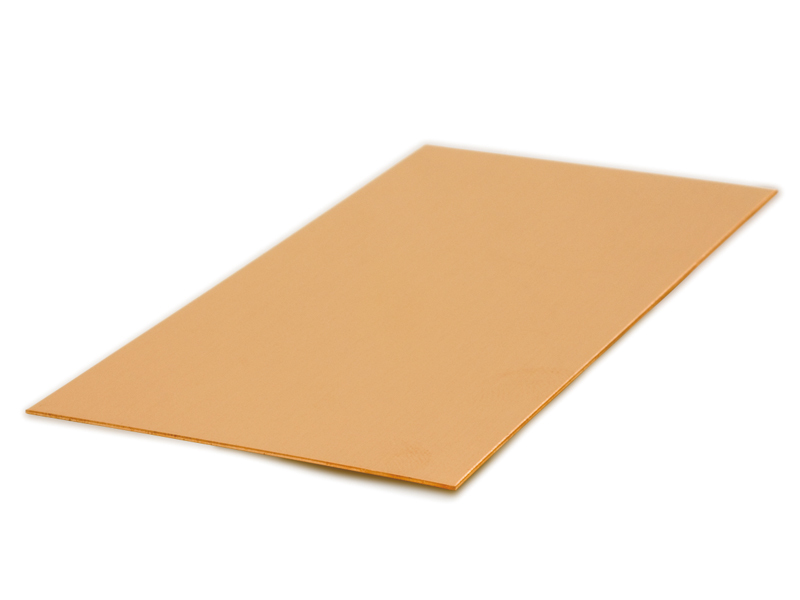 Normally, the sheets used in copperplate printing are between 0.6mm and 1.2mm in thickness. Thicker dimensions (1.0mm or thicker) are recommended for deep-etched works, multicolor printing on a single plate and mezzotint. Copper plate can be obtained either by purchasing precut plates at art supply stores or by buying standard size plates sold at metal shops and cutting them into the required size. The plates are available in three standards sizes: 365mm × 1200mm, 455mm × 1200mm and 1000mm × 2000mm. When cutting copper plate yourself, this is done using a foot-operated shearing machine or a draw tool copper cutter which is a simple metal tool. To use this copper cutter, place a metal ruler on the copper plate and draw the cutter towards you along the ruler to scoring a line on the plate. Repeat this until a raised line appears on the reverse side of the plate and then bend it along this incision, holding one side steady, to separate the plate in two.